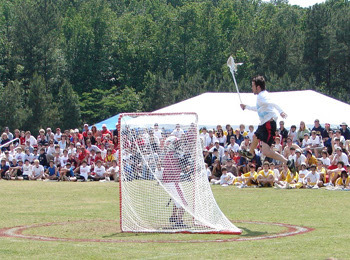 [img via bamalax] Mike Powell displaying the hops [enlarge img] at the Bamalax All-Stars event ... More photo galleries and new equipment for 2007 in stock over at Bamalax.com. Splash page for Columbia University (NYC) Men's Club Lacrosse program. For more info contact: jeb2129@columbia.edu.